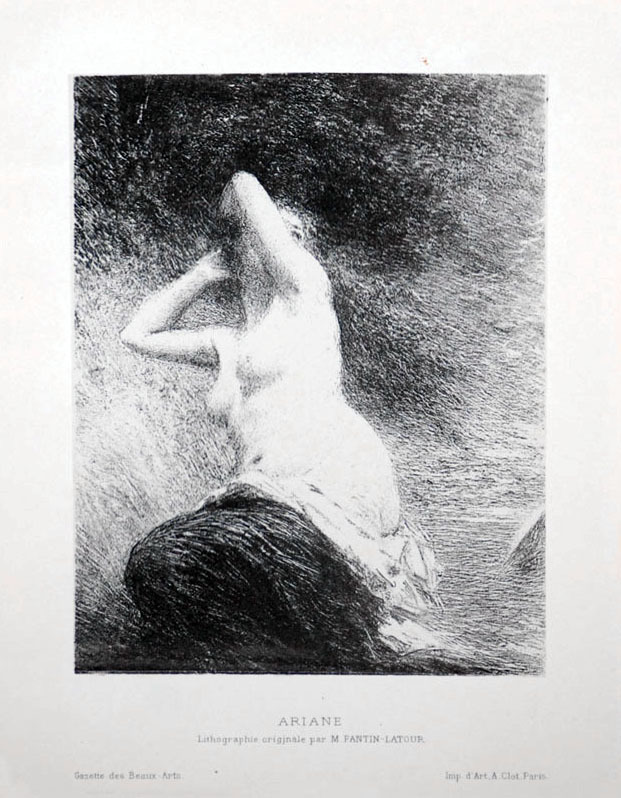 Created c. 1900, this work is annotated 'ARIANE | Lithographie originale par M. FANTIN-LATOUR | Gazette des Beaux-Arts | Imp. d'Art, A. Clot, Paris' in the lower margin. This work was published by Gazette des Beaux-Arts.